Watching the UStream feed, it looks like the gate may be open again for people who have been waiting there all day. There are vehicles are coming in. If we get an official announcement we will let you know. All Burning Man’s official channels are silent, piecing things together from Facebook we can tell you the highway patrol are still turning people back, BMOrg just let some people in who were stuck in line at the Gate and Will Call. More rain is expected tonight. The gate is still scheduled for official opening at noon tomorrow. Will update as we hear more. John Curley continues his excellent reporting from Black Rock City on the official Burning Man blog. Burning Man pressed the “pause” button today, as heavy rains and hail prevented people from getting in and out of Black Rock City, caused widespread power outages, and intensified the misery of people waiting in the “will call” lines at the box office. The gates to the city officially opened at 10 am on Sunday, and for most of the day it seemed like the event was off to a pretty good start, despite harsh weather during the build that forced everyone to hustle to catch up to schedule. It seems there were quite a few problems in the Will Call line, before the weather forced them to hit pause. Things got further off track as Sunday progressed, though, with horror tales of people spending as many as eight hours in the will-call line. The scene at the gate last night was unprecedented. As people wound round and around waiting in line on foot to pick up their will-call tickets, there weren’t any cars ready to be processed through the gate. It almost seems like there’s a new challenge in the ticket system every year, and this year it has been the backlog at the will call window. 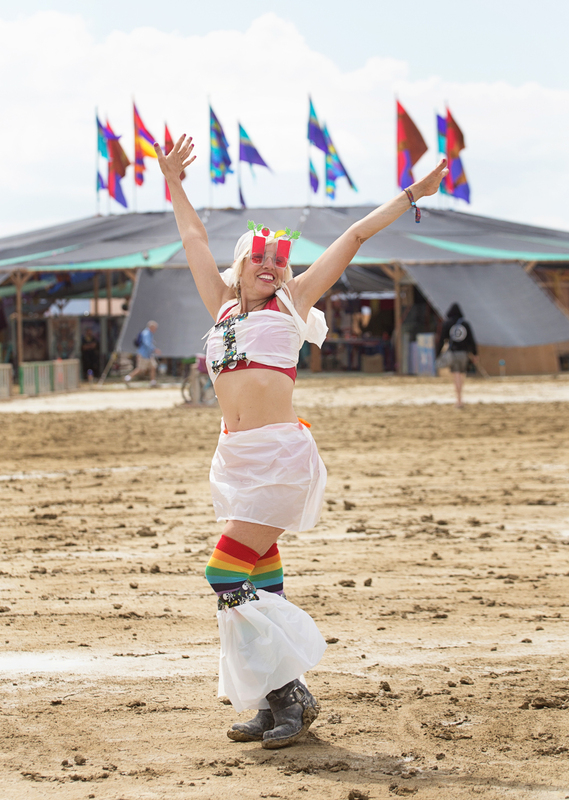 Nimbus, Burning Man’s ticketing manager, said in her seven years with the organization, she’s never seen so many people arrive at the will-call window in such a short time frame. The contributing factors include the number of tickets that are sold electronically and require a check-in. Those include the 3,000 tickets that were sold in the “oh my god” final sale in July, the 4,000 low-income tickets, and the increasing number of tickets sold to international participants, who now are about 20 percent of the population (the organization does not ship tickets internationally). Plus, all the tickets re-sold through the STEP program also require a visit to the will-call window. And then there are the vagaries caused by dependence on technology: If the wifi is down or bad weather is affecting satellite signals, the check-in process is slowed. It’s still the desert out here, you know, and things just don’t work they way they do in the default world. 20% of the population is 13,600. Add that to the 8500 OMG-STEP-LI tickets, and it seems that about a third of all tickets were at Will Call. What a nightmare. Maybe BMOrg should start mailing tickets to Burners in Canada, Mexico and the rest of the world. The $14 handling fee should more than cover a dollar or so of postage required. You’d think that since 1986, an event that boasts its own rival postal services would have figured out how to send a letter to another country. Burners responded jovially to the wet conditions. …The good planners knew that plastic bags wrapped around your shoes prevent “playa platforms” from building up on the soles of your shoes. That was really only the beginning of it, though. There was the simple approach to getting around: no shoes at all. (The mud doesn’t stick to your feet.) Then there was the utilitarian approach: Black or clear plastic bags, zip-locked or taped. Then there was the fashion-forward approach: White plastic bags arising to mid-calf. And then there was Helen Hickman, who took advantage of the weather to invent a new genre of playawear: the trash suit. “I must say, it’s very becoming,” Larry Harvey said as he walked around Rod’s Road, sidestepping the muddy clumps and randomly talking to people hoping to start their burn. So there you have it, campers. Lives transformed with trash bags. …the rain had one other significant impact, especially on Burning Man staff: the meeting schedule was positively in tatters. Somehow, all the acculturation training and process mapping would have to be rescheduled. Kudos to the awesome Burners volunteering with gate and will call, busting their arses all of the evening and of the night to clear the mess of 5,000 vehicles,10,000 people, upon gate road, in addendum of thousands of vehicles near to Gerlach and Empire. What rubbish occurred to cause this mess, aside of the showers? By appearances, gate, and will call, processed solely 500 vehicles, 1,000 people, of each hour of the 20 hours prior to the showers. But, 1,000 vehicles may travel the motorway and turn onto the playa each hour. Gate, and will call, must have the ability to process 1,000 vehicles each hour easy peasy, or numerous problems occur. The awesome gate volunteers were pissed in regards towards the rubbish vehicle passes, mates within gate stated the vehicle passes would cause problems to occur. Were numerous people within the queue at will call to pay their vehicle pass levies? 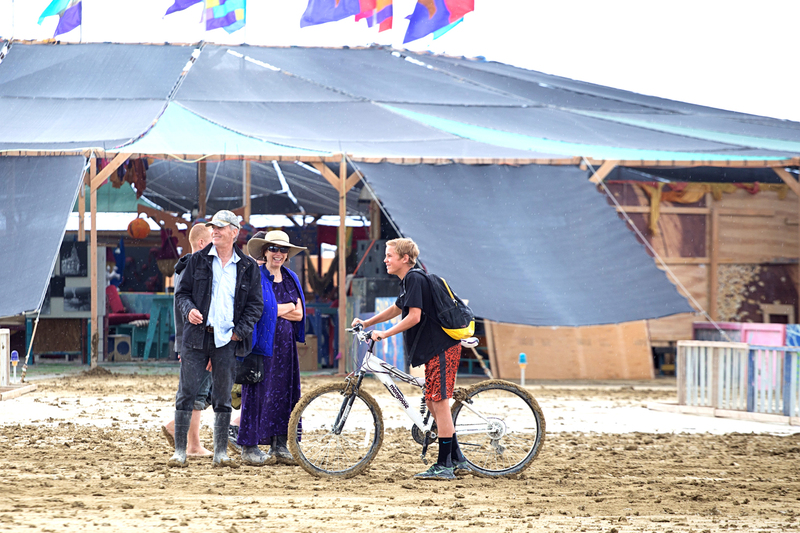 In addendum to 30,000 newbies not knowledgeable of the system of the gate, long rubbish inspections of each vehicle, the time of collection of each ticket at the gate, reports of ticketing not properly answering queries of Burners prior to the playa, and solely a few teller stations at will call, numerous problems will occur. Even prior of the showers, it was near towards 8 hours from 80 to gate road, 8 hours upon gate road, and near towards 8 hours at will call. Even within early entry, the training of hundreds of new volunteers labouring at gate and of learning the system, it was near to 4 hours of queuing at the gate and at will call. This portends of numerous problems within exodus. In due of the queuing, many newbies are near to empty of gasoline, and they do not know the few gasoline pumps within Gerlach and Empire will not have gasoline to be sold to them. The BMOrg must labour towards the prevention of another mess upon 447. Some good points here, thanks. 4 hours at early entry is just crazy. A significant amount of gas was chewed up by everyone getting in, waiting in line, being turned around etc. The Gerlach and Empire stations were out of gas. Even if they manage to get re-stocked before the burn ends, the demand from Burners will be larger than usual. Gas lines could back up from Gerlach to the gate, there could be all manner of break-downs and empty gas tanks on Exodus. The vehicle tax no doubt massively contributed to Will Call problems. The info from your gate insiders suggests that if you showed up without a vehicle pass, it was still possible to get in, you just had to line up and buy one. One problem we’ve heard with the Will Call line is you can’t leave it (eg to go to the bathroom) and you can’t even sit down. Personally there is no event in the world that I would stand in line for more than 2 hours for, let alone in the middle of the harsh conditions of the Playa. Whichever way you look at it, if the population is indeed the same this year as last, the entry seems to have become worse. Did the vehicle tax help ease vehicle problems on the roads? It seems, emphatically, no. Kudos on your awesome updates, burnersxxx, in addendum to the ‘In’ list for 2014, and 1,000 new followers each day. A small clarification upon my prior comment, my mates at Gate have not provided updates from the playa. They were pissed in regards to the vehicle pass, stating it would not work should not many more passes be sold, off the playa, or at will call, it solely presented them with more difficulties, of which, Gate does not need. I do not have further knowledge, I was solely curious and presenting a query as to the results of the vehicle pass rubbish. oh I see it now, in the BRC Weekly. Should’ve read the fine print! We’re on a list with Juno Reactor, pretty stoked about that. It’s more like 650 per hour. Yes, I have counted it, by hand, for over twelve hours, at maximum loading. (confirmed by others) Feel free to count it yourself over an equally long period and come up with your own number, though. More like 5, 5 and 8, but either set of numbers is too large to be acceptable. Possibly; even without the vehicle pass system, the box office/box office parking lot system would have been overloaded and needs to be upgraded/enlarged. The solution is not to blame parking passes, it is to blame the ticketing system as a whole. Print-at-home ticketing is a proven technology that would have addressed most of your concerns. I’m a lowly volunteer who’s not getting paid to help out and who doesn’t have the authority to make these changes; but I’ve worked front office for a ton of other festivals and though it may be heresy to state that other festivals may actually do one or two things better than Burning Man, the facts remain the facts. Any suggestions as to methodology, or are you more of a goal-setter only? Thanks very much for the update, it is always good to get information directly. Those of us outside Burning Man are just trying to piece together a jigsaw from Facebook, Twitter, and what we hear from our friends. 650 vehicles per hour, 35,000 vehicle passes, that works out to about 54 hours to get them all in. Meaning if Burning Man starts at 10am Sunday, it would take until 4pm Tuesday for everyone to get in. I realize that not everyone comes at once, but it still seems crazy – without an early access pass, it is pretty much impossible to be at Burning Man for a week. If they increased the population to 100,000, let’s say 50,000 vehicles, it would take until 2pm Wednesday to get them in. Could you please give examples of what other changes affected entry? STEP last year also required tickets to be at Will Call, from what we can tell there were only 1500 STEP tickets this year. Opening the gates at 10am Sunday instead of 6pm should have eased the entry, rather than making it worse. Kudos, Afactualperspective, on your volunteer positions within Gate, and within other festivals, that is awesome, as are all Gate volunteers. Much obliged, for your comment and for your numbers. I did not expect the response that occurred in due of this comment, I did not expect the BMOrg’s Black Rock Beacon to comment upon these numbers. I was under the belief of my comment being simple maths, Gate must be of the ability to process a bigger number of vehicles than might enter gate road of each hour, and many Burners upon the playa have little gasoline in their vehicles, and they do not know they do not have the ability to purchase gasoline at the few gasoline pumps within Gerlach and Empire. The population numbers state near to 1,000 people were processed by Gate each hour, near to 500 vehicles each hour, or, as the Black Rock Beacon states, 450 vehicles each hour. Might it be 18 hours, or 24 hours, of queuing, as you state ‘either set of numbers is unacceptable’. Perchance, in place of the BMOrg having the ability to process solely 650 vehicles each hour, as, by your very informed comment, it appears to be, might they change the gate to have the ability to process the biggest number of vehicles entering the playa each hour, in the place of Burners queuing 5 hours, or, as social media stated on Sunday, 5 to 8 hours, on the playa? Should the gate road be full of vehicles to begin, any little problem will halt vehicles upon the highway, which is not desired. Other festivals, and other events, are of the ability to process a much bigger number of vehicles, and tickets, each hour, with a smaller number of labourers and volunteers, why does Burning Man not have the ability to do so? The first step is the admitting of a problem. The second step is the embracing of our awesome Lord, or, whichever higher power, a person might desire to embrace. The 10 other steps require a radical transformation, not a little change. I’ve handled 64k tickets at will-call in less than 45 minutes. It’s all about experience! Jim, can you share some tips of what/when/where/how you did this? Maybe BMOrg could learn something. Burning Man cancelled due to Climate Change. Was in line when the deputy came by and said 12 hour minimum wait, conserve your fuel. That’s when I turned around and headed back to Lovelock. Now that I see what a mess will call is, where my ticket was at, I’m glad I bugged out. Had a great day in the desert though. Ouch! Man, white people are something else! LOL! Will call has sucked for ages… no matter how many times theyve said they fixed it… always been understaffed/too small of an operation. I’m guessing they’ll finally get the message that trying to get away with such a tiny footprint…like 4 little windows..(maybe a few more this year?) isn’t gonna cut it. theyd have to get another 5-10 little air conditioned boxes to make a dent…. and it probably should have been that way for a few years now. Oh stop it. You didnt actually get offended by that did you? Grow up. …’Cause it’s mature to perpetuate cultural/racial stereotypes? cause being a good salesman is a bad thing. Yeah, it offended me and I’m a very thick skinned burner. Mostly, though, it just disappointed me. Such a tired and lazy stereotype to use. The works is so full of metaphors and images yet to be conjured – why not use something original. But, you’re not a salesperson, so you’re disqualified. Besides, jews don’t swear like that. They’re good people. Jews are actually not very good salespeople. I think Helen was being ironic.